Will Android “Ice Cream Sandwich” Transform Your Phone Into A Game Console? Maybe… depends on your phone’s hardware, but it may be possible! “Take that, Xperia Play. USB gamepads are already supported in Honeycomb, so we had plenty of hope that Android 4.0 — also lovingly referred to as Ice Cream Sandwich — would offer the same functionality. We finally have the answer, and it’s a resounding yes, courtesy of Google framework engineer Romain Guy’s Twitter account. The cool part, though, is that HDMI’s playing nice as well. In short, you could hook up an external gamepad to a USB-to-microUSB adapter on the Samsung Galaxy Nexus, connect it to your TV and transform your handset into a fancy portable gaming console. It’s definitely something we can see developers flock towards, and we’ll expect some cool stuff to come out of it. Just in case you thought the Nexus wouldn’t let you get anything else done around the house already, this pretty much seals the deal. Geek Software of the Week: Wibiya! This is cool software that allows you to put a web toolbar on your web site! 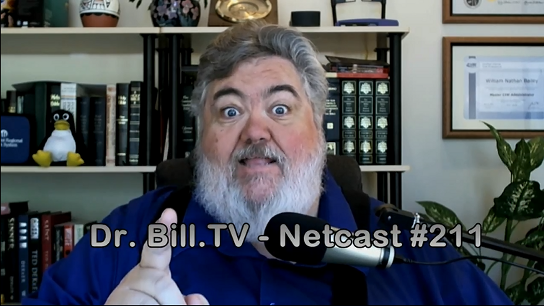 I have added it here on Dr. Bill – The Computer Curmudgeon, check it out! Adding the Wibiya toolbar to your website allows you to easily increase page views and user engagement, and promote your content. Wibiya offers a variety of free apps, enabling you to extend your content’s exposure and provide users with a more interactive experience of your website.Personalize your Wibiya toolbar and enhance your website’s design. We provide dozens of free themes and customization options as well as a rich icon bank. Add or remove elements from your website with no technical barriers or spending a lot of time and money. The Wibiya bar can be installed and customized without any coding; simply log in to your account at any time, and edit the bar. Transform your website into a social hub by adding chat options that will allow users to chat with you and each other, as well as share your content via the leading social networks. Access Wibiya Analytics from your account dashboard to see how many users visit your site, where they come from, and which apps they like best. Communicate directly with your users by creating a messaging campaign using a variety of messages, or choose specific messages for specific users, based on their tastes and interests. Simplify, simplify, simplify! That seems to be the theme behind Google [upcoming refresh of the Gmail interface. Sounds good! “A YouTube video leaked on to the Web (subsequently deleted but since reposted) shows off the new interface for the Web giant’s e-mail service. Jason Cornwell, a user experience designer for Gmail, walks viewers through the major changes ahead. A Google representative confirmed the video’s authenticity but declined to provide further details. The new look is designed to be cleaner, simpler, and more intuitive, he said. One of the biggest changes is that the Gmail window will automatically adapt to whatever size the user chooses. Conversations have been redesigned to ‘feel more like a real conversation,’ he said, noting that user profile pictures have been added next to their comments, similar to how many instant messaging and chat applications work. What Makes the New Ubuntu 11.10 So Great? Watch the video below to see! Puppy Linux, that is! I really like Puppy Linux! Especially for older machines. If you haven’t tried it, download this new version and install it on one of your older, clunkier systems, and watch it fly! “The Puppy Linux project announced version 5.2 of the legacy-PC friendly ‘Wary’ version of its small-footprint Linux distribution. 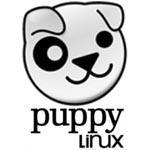 Puppy Linux 5.2 (“Wary”) features an SMP-optimized version of the Linux 2.6.32.45 kernel, an upgrade path to Xorg 7.6, an updated PuppyPhone 1.1 VoIP app, and a new PupCamera app for automatically detecting digital cameras, says the project. As with previous Puppy Linux releases — including Puppy Linux 5.0 and Puppy Linux 4.3 — Puppy Linux 5.2 is a fairly ‘minimalist’ distro designed for those who like their operating systems fast and lean. It is available in a 123MB ISO image, and can load entirely into RAM for faster performance, according to the project. The distro can boot off a flash card or USB device, as well as CD-ROMs and other media. In order to fit that footprint, you won’t find many big-name applications built in. Most are minimalist apps developed by the Puppy community. Puppy Linux 5.2 is one of many Puppy variants built on the project’s ‘Woof’ build system, including Lucid, Racy, FatDog, and Slacko. Introduced in November 2008, and joined in 2009 with a related Puppy Package Manager (PPM), Woof can build a Puppy variant from the packages of any Linux distro, including Debian, Ubuntu, Arch, Slackware, and T2, the foundation used by this latest Wary release. This is kinda weird. Imagine a camera where you snap a picture, then later, at home, say, you can focus and manipulate the image? That’s what they are claiming for the Lytro camera. “Camera maker Lytro is now taking pre-orders for its much-hyped light-field cameras that promise to let you snap a picture and refocus it later on your computer or the camera’s touchscreen. 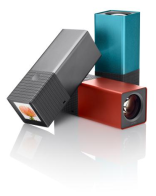 Unlike traditional cameras, Lytro devices are able to capture 11 million light rays (11 megarays) and record aspects of light such as color, intensity and direction, some of which traditional cameras miss. The ability to capture all that information, along with help from Lytro’s image processing software, is what allows you to refocus the image, change the image’s perspective and even view the photo as a 3D image on your 3D HDTV. MC Hammer at Web 2.0? Yep, and promoting a new search engine, no less! “Can’t touch this!” Well, apparently he wants you to touch “Wiredoo,” a search engine that is supposed to offer more “relationship information” to search results. Sounds vaguely risque, huh? “One of the odder bits of news to emerge from this week’s Web 2.0 Summit in San Francisco—okay, the oddest—is that rapper MC Hammer is launching a search engine. Wait, it gets funnier. He’s calling it WireDoo, which sounds like something we wouldn’t want to touch, regardless of whether MC Hammer says we can or can’t. But before we all have too many laughs at the expense of the entertainer who briefly made baggy harem pants popular with men, consider that MC Hammer has pretty much displayed superlative entrepreneurial abilities his entire life, starting from when he parlayed a busking act in the Oakland Coliseum parking lot in the 1970s into a job as a clubhouse assistant and batboy for the Oakland A’s. MC Hammer also managed to sell a whopping 50 million records worldwide despite rapping skills charitably described as merely adequate to compliment his real talents, dance and promotion. And let’s say it again—he made baggy harem pants popular with men. This is not a fellow whose business acumen should be taken lightly. Nor is Hammer is a newbie to the tech scene. Like fellow entertainer-turned-tech investor Ashton Kutcher, Hammer has become a fixture at tech events like Web 2.0 and Tech Crunch Disrupt in recent years. Hammer, born Stanley Kirk Burrell in Oakland, Calif., says WireDoo will not be an attempt to compete with mainstream search engines like Google or Bing, according to reports. Dropbox Plans to Integrate With Everything! Dropbox is my favorite cloud-based resource! It sounds like they have big plans to be even MORE cross-platform. “Cloud-storage startup Dropbox just closed a $250 million funding round, and now it has its eyes set on being the foundation of a future where we’re never without our data. Phone, tablet, TV, car, you name it. Dropbox plans to be integrated into everything, with its icon becoming to file access what Facebook’s icon has become to sharing. And what Dropbox has in mind is about far more than apps. As Founder and CEO Drew Houston explained to me during a call, Dropbox won’t just be a downloadable application like it is now, but will be the default option for storing files to and accessing them from the cloud. Mobile is the first and obvious area to begin – Forbes highlighted a partnership with HTC and six other pending mobile deals in an article this morning — but that’s just the beginning. Houston specifically mentioned televisions, cameras and even cars as the next natural devices in which Dropbox wants to expand its reach. Maybe it’s via a Dropbox button on a TV remote that brings up a user’s account, or maybe it’s via automatic upload from a camera, but as long as it has an Internet connection, Houston wants Dropbox to be part of it. (Cross-posted from my Hand Held Hack Blog) I suspect this number will continue to climb! Hand held devices are a large part of the “Post-PC” era everyone has been talking about lately! “With more consumers breaking out smartphones and tablets to browse through the Web, the percentage of U.S. traffic that’s attributed to handheld devices is on the rise. According to a new report from comScore, non-computer U.S. traffic has increased to nearly seven percent over August 2011. This type of traffic is mostly attributed to smartphones as well as tablets and other handheld devices. It does not include desktop computers or personal notebooks. Smartphones made up about 64 percent of non-computer U.S. traffic and tablets made up about 28 percent of that segment. Apple iOS devices dominated both categories as well. The Apple iPad constitutes just over 97 percent of traffic from tablets and iOS-enabled smartphones made up 58.5 percent of all smartphone traffic in regards to OS market share by digital traffic.